A collage of missing Uighurs in Xinjiang. #MetooUyghur campaign image circulate on social media. As stories of ill treatment and torture in China’s “re-education camps” in the western Xinjiang province continue to circulate, Uyghur communities outside of China are demanding that Beijing release information about their missing relatives and friends. The #MeTooUyghur social media campaign was prompted by the release of a video, from Chinese authorities, in which prominent musician and camp detainee Abdurihim Heyit told viewers that he had not been tortured to death in a Xinjiang prison. Rumors that Heyit had died were viral on various social media platforms on February 8 and 9. Then on February 10, Turkey’s Foreign Ministry issued a strong statement criticizing China’s Xinjiang policy and calling for an end to the re-education camps. Systematic assimilation policy of Chinese authorities towards Uighur Turks is a great embarrassment for humanity…It is no longer a secret that more than one million Uighur Turks, who are exposed to arbitrary arrests, are subjected to torture and political brainwashing in concentration centers and prisons. In such an environment, we’ve learned with great sorrow that dignified poet Abdurehim Heyit, who was sentenced to eight years in prison for his composition, died in the second year of his imprisonment. Heyit is a master dutar player who he was sentenced to eight years in prison for one of his songs. The next day, Chinese foreign ministry spokeswoman Hua Chunying released a video to prove that Abdurehim Heyit is still alive. In the video, the Uyghur poet said he had not been tortured and is in good health. Hua called Turkey’s statement a “very big mistake” and said the reports about Heyit’s death were an “absurd lie.” She said that Heyit was under investigation on national security grounds. The release of video has not quelled public tension around the treatment of detainees. 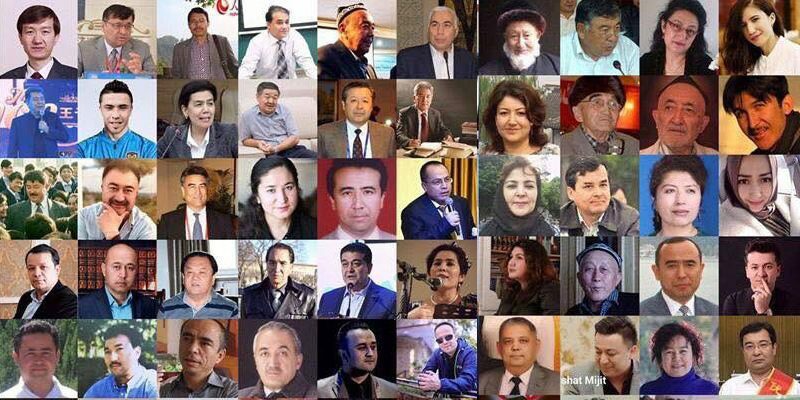 Uyghur communities from all over the world have begun using the #MetooUyghur hashtag to urge the Chinese government to prove that their missing friends and relatives are still alive in Xinjiang. Please join our social media campaign- #MeTooUyghur! As you know Chinese authority responded Abdurehim Heyts scandal by released a video to show he is alive. Are millions of detainees too alive? CCP, where is my father, mother, brothers, and sisters. China has more than 1 billion people, do we need to release a video of everyone? At a regular news briefing on Tuesday, Chinese foreign ministry spokeswoman Hua Chunying said of the #MeTooUyghur campaign, “China has more than 1 billion people, do we need to release a video of everyone?” YES, you can, since u have 2 camera for every person!! !